Catching Redfish Til’ Our Arms Hurt!! It was just one of those days when you get on a spectacular bite. We caught redfish the whole morning and quit when our arms gave out!! Posted in Fishing Charter Pictures, Fishing Charter Recent Posts	| Comments Off on Catching Redfish Til’ Our Arms Hurt!! Trout, Redfish and Flounder For The Inshore Slam! Great morning and afternoon trips today! We got the inshore slam by catching redfish, speckled trout and flounder! Thanks Shane, Spivey, James, Ashley, Owen and Sam! Posted in Fishing Charter Pictures	| Comments Off on Trout, Redfish and Flounder For The Inshore Slam! Posted in Fishing Charter Pictures	| Comments Off on Life Is Good! Redfish, Sheepshead and a Bird! It was a redfish and sheepshead kinda day as we caught nice fish on the morning and afternoon trips!! Even had a pretty bird come hang out with us!! Posted in Fishing Charter Pictures	| Comments Off on Redfish, Sheepshead and a Bird! 5 Species and a Ton of Fun!! Greg, Mike, Ron and Vikki got to catch a variety of species today! Black drum, redfish, speckled trout, sheepshead and pompano! What a day!!! Posted in Fishing Charter Pictures	| Comments Off on 5 Species and a Ton of Fun!! Lots and lots of redfish mixed with some speckled trout and flounder!!! I had long time clients Charlotte and Gary Clark for a few days and Chris and Keith from Tennessee, thanks for booking with me! Jack and Stan were a hoot to have on the boat today!! The y even let me catch one!!! Posted in Fishing Charter Pictures, Fishing Charter Recent Posts	| Comments Off on Another Fine Spring day!! The Spring Bite Has Started!! Eric and Ron caught over 20 trout, 4 redfish and a few flounder to start spring off right!!! 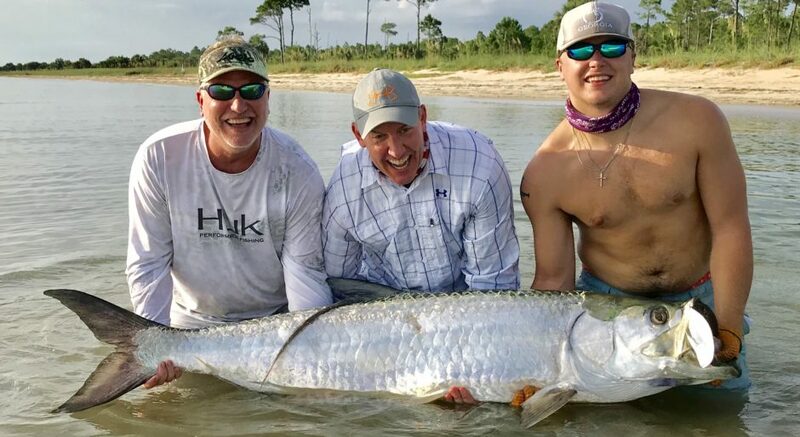 Posted in Fishing Charter Pictures	| Comments Off on The Spring Bite Has Started!! A Few Pics From This Week! A mixed bag from this week including speckled trout, redfish, black drum and flounder! Posted in Fishing Charter Pictures, Fishing Charter Recent Posts	| Comments Off on A Few Pics From This Week! Always a blast having Eric and Ron on the boat, especially when they’re doubled up on redfish!! Posted in Fishing Charter Pictures	| Comments Off on Doubled Up On Redfish!